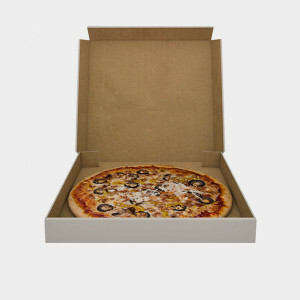 Used pizza boxes cannot be recycled because they are soiled by food residue and grease. Greasy pizza boxes contaminate clean recycling and are expensive for the recycling industry: it’s estimated that contamination costs recyclers $700 million per year, because of damaged machinery, the cost of disposing of non-recyclable materials and wasted time. What Came Before Pizza Boxes? Around two-thirds of all pizzas are delivered in pizza boxes. Pizzas first came in wax-lined paper bags just like pies. Between World War I and World War II, they started coming in boxes made from corrugated cardboard.